Each figure communicates a different personality through gesture. 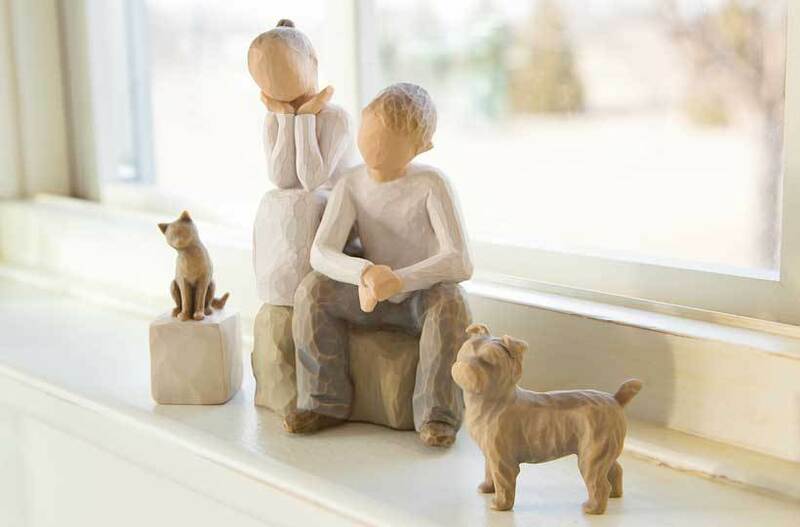 Whether it be a grandmother and grandchild, sisters, mother and child, toddler or couple figurine, each Willow Tree figure reflects relationships in our lives. The beauty of Willow Tree lies in its ability to connect people to each other, creating a meaningful representation of those closest to us.